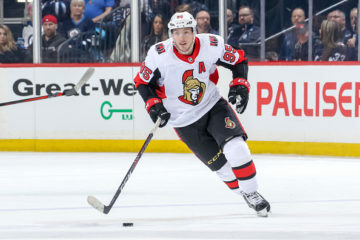 It’s a real shame that the future Hart Trophy winner won’t be able to carry his team to the next round of the playoffs. MacKinnon was on another planet this season, but let’s face it– Is there a better, more complete team in the league than Nashville right now? I’ll wait. The Predators have the depth in every category; goaltending, defence, offence, power play. You name it, they’re better than Colorado. The Avs have no advantage on paper in this series. Nashville finished second in GA/GP and seventh in GF/GP. Future Vezina Trophy winner Pekka Rinne was elite this season, their defence was once again top in the league thanks to P.K. 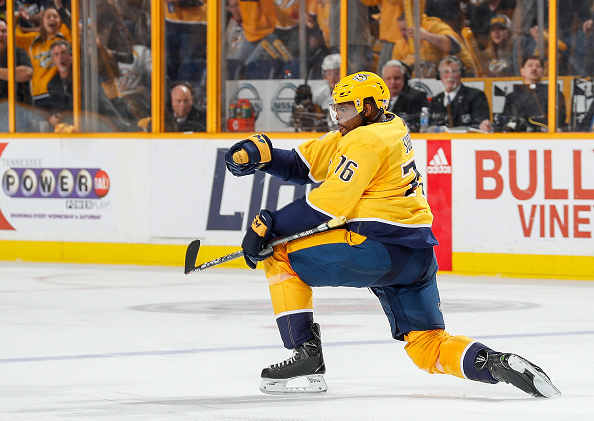 Subban and Roman Josi and their offence is just good enough to finish in the top half of the league. On the flip side, the Avalanche finished 10th in GF/GP and 14th in GA/GP. Those numbers aren’t bad, but the task at hand is to win four games against the Predators without Semyon Varlamov in goal. The Avalanche’s number one goalie is confirmed to miss the first round, so it’s up to Jonathan Bernier to stand on his head and try to steal four games for his team. Breaking news– it won’t happen. 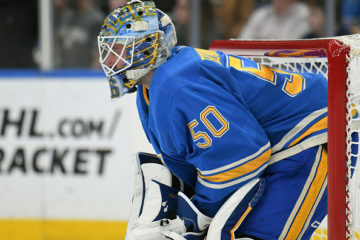 Bernier played well this season, but he won’t be able to Jaroslav Halak his way to the Western Conference Finals (If you didn’t get the reference, go back to the Habs 2009-10 playoff run and watch some highlights). The Avalanche did everything possible to get to this point, and they deserve to be here, but the journey won’t go past the first round. They just don’t have the depth to compete with Nashville. The Preds are a legitimate contender to win the Stanley Cup and the Avs will be a good warm up. If Canada wants to back a team that could win the Stanley Cup, the Jets are the way to go. It won’t be an easy route for them, but they have a team that could surprise a lot of hockey fans. The Winnipeg Jets finished second in GF/GP and fifth in GA/GP. They score goals on a Pittsburgh Penguins level, and allow goals on a Nashville Predators level. Wow! Despite those numbers, no one is talking about the Jets having a team that could win it all. Why the lack of respect? Maybe it’s because Winnipeg scores a bunch of goals at home (3.80 G/GP) and not as many on the road (2.85 G/GP), or it could be because Minnesota is elite at home? They do have the best GA/GP at home (2.17) and they can also score some goals (3.29, 11th). If we stick to these numbers, Both teams are going to win every game at home, which means Winnipeg would win the series in seven. That’s probably how this series will play out. This matchup is as even as it gets, but in reality, it shouldn’t be. Winnipeg is the better team (on paper at home), but Minnesota is no joke, they could easily walk away with a series win if they find a way to slow down this Winnipeg offence. For now, I’m giving this series to the Jets. Let’s hope they don’t let Canada down. Raise your hand if you had Las Vegas making the playoffs and clinching the Pacific Division (put your hand down, liar). This Las Vegas team has done this impossible. Everyone (myself included) has been waiting for the “regression” to hit this team, and it never happened. They continued to dominate their division and their conference. How could anyone bet against this Cinderella team? Easy– they have a matchup with the Kings. If it was any other team, the Golden Knights would be an easy pick to move on to the next round, but here they are in a matchup with the Kings, a team that knows exactly how to get the job done. The only team to finished with a better team goals against average than the Predators was Los Angeles. Jonathan Quick reminded the league that he’s still a pretty good NHL goalie. Anze Kopitar carried this team (and Dustin Brown) to a wildcard spot with his amazing season. Honestly, I don’t know how you slow down Kopitar and Drew Doughty. Those two know what is needed to win in the playoffs. That being said, The Golden Knights have players who have won Stanley Cups, so it’s not like they have no experience at all. Marc-Andre Fleury is going to need to stand on his head if he wants to help his team get to the next round. Although not impossible, I don’t think Fleury will be able to do it. You can’t measure experience, but it definitely plays a factor in the playoffs. You can’t discredit it. The Kings know what the road is like to get to the finals, and that’s going to be the difference in this series. You need three things on a team to win in the playoffs: experience, goals and a good goalie. Both of these teams have that. San Jose has been a playoff failure for so many years, but I think they’ve gotten past that label. Anaheim has won a Stanley Cup, so they know what it takes to get the job done. In all, this is a pretty even matchup, but Anaheim has a slight edge, so that’s who I’m going with. The battle will most likely come down to win goalie can steal a win for their team. John Gibson was a top 10 goalie this season, while Martin Jones was about league average. Jones is going to need to help his team steal one if they want to make it to the next round, which is completely possible. If he can do that, this becomes a different series. If he remains average, Ducks are going to cruise to the next round in no time. What also hurts San Jose here is the loss of Joe Thornton earlier in the season. Jumbo Joe may be getting older, but his playoff experience would be a huge boost for his team. As of right now, it’s unlikely that he plays game one of this series, but head coach Peter DeBoer hasn’t ruled him out for the entire series. Thornton has returned to practice, but no time line has been set for his return. For Anaheim, Ryan Getzlaf and Corey Perry are going to be in charge of leading the offence and Ryan Kesler will be in charge of slowing down Evander Kane, Joe Pavelski and Brent Burns. Kesler is a master at getting under his opponents skin, and that won’t change in this series. He can also contribute on the score sheet, so the Sharks will have their hands full trying to slow down Anaheim’s top two lines. As mentioned earlier, this series is going to be a close one and it could easily go either way. For now, I’d put my money on the Ducks, but I won’t hold my breath on it. May the best goalie win.